(OPride) — For energizing and unifying the Oromo public both at home and in the Diaspora, for keeping the beacon of liberty from being extinguished, for selfless sacrifice to advance Oromo rights and for bringing international media attention to the plight of Oromo people, Oromo Student Protesters are OPride’s Oromo Person of the Year. In March 2014, the Addis Ababa and Surrounding Oromia Special Zone Integrated Development Plan Project Office organized a workshop for journalists and civil servants in Adama, 90 kms east of Ethiopia’s capital, Addis Ababa. The training, conducted by officials from the Oromia regional state and representatives of the Addis Ababa city administration, continued through mid-April. It was intended to generate momentum before “a joint master plan,” which would ostensibly facilitate efficient resource use, eliminate existing contradictions and link the city’s developmental activities with the Oromia Special Zone, is unveiled. 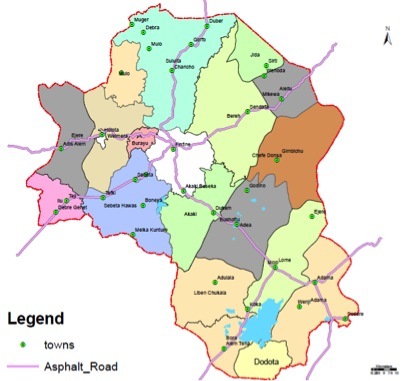 Established in 2008, the Oromia Special Zone is comprised of eight towns (Dukam, Lagatafo-Lagadadhi, Sandafa Buke, Sululta, Holota, Burayu, Sabata and Galan) and six districts (Walmara, Sabata Hawas, Akaki, Sululta, Mulo and Barak). The zone has a total area of 4,800 square kms and 15 townships. The special zone was established in response to local concerns over lack of attention and proper planning in the hinterland and the unchecked, horizontal urban sprawl around the capital. The renewed interest in the area, which ironically coincided with rampant land speculation and a chaotic industrial construction boom, was further strengthened by Oromia’s local development plan crafted in 2010. Founded in 1886 by emperor Menelik II and his wife Taytu Betul on conquered Oromo land, Addis Ababa, which Oromos call Finfinne, has “complete powers of self- administration” with its own police, city council, budget and other public functions overseen by a mayor (appointed by the ruling party). Regardless of the reasons for the creation of the Oromia special zone, the city’s unique place as both a state capital and federal capital— the constitution granting special interest in the provision of services or the utilization of resources to Oromia — has been at the center of the debate over the city’s horizontal spread over the years. 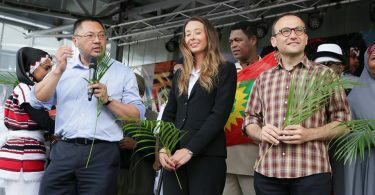 Oromo activists have been calling for clarification of the Ethiopian constitution’s special status clause, as well as language instruction and other services for the city’s Afaan Oromo speakers. In theory, the creation in 2011 of a joint project office tasked with fashioning a joint strategy and a master plan was meant to assuage these grievances. However, as noted by workshop participants in April, the project office not only took an arrogantly top-down approach in crafting the master plan but also expanded the city’s territorial jurisdiction by a whopping 1.1 million hectares, an area more than 20 times the capital’s current size, according to leaked documents. The proposed plan would put 36 Oromia towns under Addis Ababa’s — thereby federal government’s — direct control. In a rare report by the state-run Oromiyaa TV (OTV), journalists and officials from the Oromo People’s Democratic Organization (OPDO), the Oromo elements in Ethiopia’s ruling coalition, sounded-off about the lack of public consultation and potential violation of Oromia’s autonomy and territorial integrity, as well as threats to the livelihood of Oromo farmers in the areas covered by the proposed plan. The planning office apparently did not even bother to consult with mayors of the affected municipalities and other regional and Oromia Special Zone officials. Moreover, the state’s rubberstamp legislative chamber, Chaffee Oromia, did not deliberate on it, leaving rank-and-file OPDO members deeply disgruntled. OTV’s segment on the opposition to the master plan came as a shocker to many. 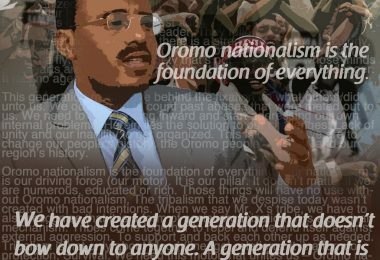 Established in 2006, the network has been serving as an unabashed government mouthpiece, giving only lip service to issues of concern to the Oromo other than scant cultural programming. Within days after OTV’s report, thousands of Oromo students at all regional universities in Oromia took to the streets opposing the master plan (starting at Jimma University and quickly spreading to Haramaya, Ambo, Wollaga, Matu, Bule Hora, Addis Ababa, Adama and Madawalabu universities). In one instance, on April 29, an estimated 25,000 people partook in a citywide demonstration in the flashpoint town of Ambo, 80 miles west of Finfinne. Federal security forces responded as usual, firing live ammunition at unarmed protesters, killing at least 50 people and injuring many others while hundreds were arrested, according to eyewitness reports. Authorities saw OTV’s report on the master plan as an indirect rebuke of its campaign to unveil the plan. TVO then went mute, apparently per orders from federal authorities, keeping eerie silence as protests spread across Oromia and received significant coverage in the international press. Shortly thereafter, an indoctrination campaign was organized for the OTV journalists, which according to a number of participants, ended without any breakthrough in the form of agreement.This was followed by mass firing of journalists seen as agent provocateurs, including Bira Lagasse, who presented the April OTV report on the master plan. Marketed as the megacity of the future — complete with a new railway system courtesy of the Export-Import Bank of China — Ethiopia’s sprawling capital faces increased pressures to meet international standards and ongoing urbanization challenges. Half of Ethiopian population, roughly 67 million, is projected to reside in towns and cities by 2040, up from only 18 percent in 2013. Addis Ababa hopes to lead the charge in urbanization and become one of the top ten tourist destinations in Africa by 2025. Even as they insist that the controversial master plan offers a win-win solution for all stakeholders, Addis Ababa city officials say high economic integration and uniform land use and development strategies with surrounding Oromia towns is key to that effort. Ethiopia’s GenQ: A lethal threat? Student protests have been a fixture in the contemporary Oromo history. 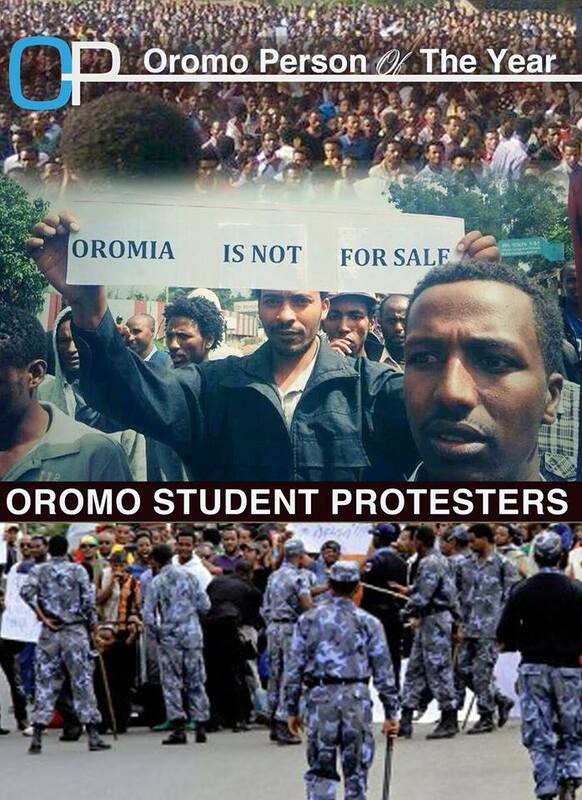 Students have been demonstrating in Oromia since the mid-1990s. The budding Oromo student activism can be likened to the cactus. You cut it down and it would grow back even more luxuriant as if in vengeance. You depopulate it in one place and it would mushroom elsewhere. It is in no need of a nourishing climate or soil; it thrives in the lowlands, the highlands, and anywhere in between. Seeing it as a lethal threat to its continued grip on power, the ruling party has been cracking down hard. However, the protesters grew more and more strident rather than abate. Resilient as they have been over the years, Oromo students have paid hefty prices for their dissent against the regime in Finfinne. That is why the repression by the authorities could hardly dampen the spirit of an increasingly assertive generation of Oromo youth that is just coming of age. To be sure, one of the positive developments under the current regime is the adoption in 1991 of the country’s federalism, which carved Ethiopia into nine federated and theoretically autonomous states. However, for all its promises of maintaining Ethiopia’s territorial integrity, the constitutional guarantees for decentralization of authority have rarely been applied. Final decision-making power still rests with the central government, with supposedly semi-autonomous states enjoying only a semblance of self-rule. Consequently, EPRDF’s failure to abide by its own constitution, frequent top-down changes in education policy, denial of academic freedom and the government’s misguided development policies have been among the most contentious issues for Oromo students over the last two decades. 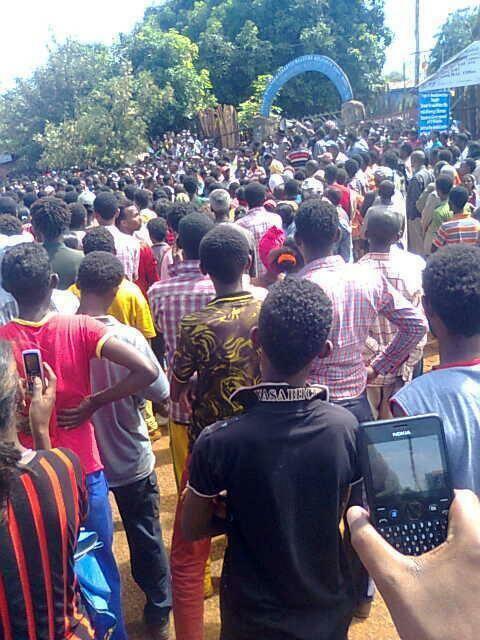 Dubbed the Qubee generation, today’s college and high school students in Oromia are like a new species of Oromo. Studied in their mother tongue, Afaan Oromo, and keenly aware of their state’s boundaries and the Oromo people’s longstanding misgivings about the Ethiopian state, the average Oromo protester personifies the indomitable spirit of Oromo nationalism and a steely determination to see to it that the injustice against the Oromo becomes a thing of the past. Such open national consciousness was hitherto unthinkable in Ethiopia, which remained a unitary state in large part by harshly suppressing Oromo self-expressions. The heightened Oromo student activism of the late ‘90s and early 2000s coincided with widespread human rights violations and mass expulsions of student leaders from various universities and colleges. Based on available record, from 1999 to 2004 alone, more than 1,000 Oromo students were dismissed from Addis Ababa, Jimma, Adama and Haramaya universities. Tens of students disappeared without trace while hundreds have been forced into exile — some still languishing in refugee camps across neighboring East African countries. After a brief lull, sustained protests began in early 2000 in response to massive forest fires in Bale and Borana zones of Oromia. Amid apparent neglect and allegations of federal government’s involvement in setting the forests ablaze, students across Oromia took to the streets demanding swift action. Authorities responded by rounding up the students, firing live ammunition at peaceful protesters and detaining those suspected of organizing the protests. Again in early 2002, following sustained Oromo student protests over economic depression and rising cost of fertilizers, the federal Rapid Deployment Forces killed at least 10 students and injured many others in Shambu, Naqamte, Gedo, Ambo, Gimbi, Najo, Dembi Dolo, Guder, Robe and Kofele towns. In May 2002, authorities arrested more than 320 students from various institutions of higher learning in and around Addis Ababa. Tens of students were dismissed from Adama, Haramaya and Addis Ababa universities. Following a year of tensions, in 2004, Oromo student protests returned in response to the government’s attempt to relocate Oromia’s capital from Finfinne to Adama. More than 350 Oromo students were expelled from Addis Ababa University alone. Hundreds of students, teachers and Oromo intellectuals were arrested throughout Oromia in a move seen as an effort to eliminate educated and politically conscious members of the society. Schools across Oromia were closed for most of the year. “In some places, police used live ammunition to disperse demonstrators, killing several school students,” according to Amnesty International’s report. “Demonstrators were detained for several months; some were beaten and made to do strenuous physical exercises while in custody.” Thousands of protesters, including leaders of the Oromo welfare organization, the Macha Tulama Association, remain in prison or are serving lengthy sentences under trumped up charges. Oromo students took to the streets once again in 2006 following disputed parliamentary elections. 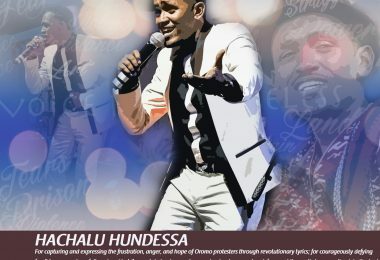 In fact, as UC Berkeley’s Leonardo Arriola rightly noted, while international media reports focused almost exclusively on the opposition protests in Finfinne, post-election “protests in Oromia resulted in more than 15,000 detentions and 80 reported deaths.” The trend continued in the year with yet another killing of innocent Oromo student, Shibiru Demissie, at Mekelle University. While there have been sporadic protests over the last half decade, the 2014 #OromoProtests were a watershed — not just in their size and duration but also in the participation of other sectors of society, urban dwellers, bureaucrats and rural folk, including members of the ruling party. All in all, since 2000, Ethiopian security and military forces have killed hundreds of peaceful protesters. Despite the recurring and perennial protests the storyline remains the same: Peaceful protesters shot at close ranges; significant numbers injured; hundreds dismissed from high schools and universities and many more fleeing the country to seek safety. The names of some of those indiscriminately gunned down by security forces such as Diribe Jifar, Getu Diriba, Jagama Badhane, Gammachu Hirphaasa, Alsan Hassan and many others or those who died in prison from torture such as Alemayehu Gerba and Tesfahun Chemeda, have become household names, their struggles forever ingrained in the consciousness of the ever vibrant Qubee generation as well as the wider Oromo public. Still, these are but few whose names entered the public domain. Many more perished without due recognition or remain unjustly imprisoned with their fates and future hanging in balance. One thing is certain: Killing, imprisonment and forced exile have thus far failed to discourage or undermine Oromo student activism. Ethiopia continues to be haunted by an age-old problem: the unaddressed Oromo question. Despite making up close to half of the country’s 96 million population, the Oromo continue to face political repression, social marginalization and social alienation. Instead of addressing Oromo grievances, controlling Oromia’s resources and the suppression of Oromo dissent has been a constant preoccupation for successive Ethiopian rulers. It doesn’t take a political scientist to realize that addressing the Oromo question is tantamount to removing the albatross from Ethiopia’s neck. As the Horn of Africa country prepares for yet another sham election in May, calls to democratically address gapping deficits in governance, rule of law and respect for human rights would grow louder. The specter of more student protests and violent suppression would continue to sour state-society relations. Despite the rising risk on Ethiopia’s stability, the authorities lack the will to heed calls for any sensible reform and accommodation of dissent. The Addis Ababa and Surrounding Oromia Special Zone Integrated Development Plan Project Office is reportedly forging ahead with the controversial master plan. 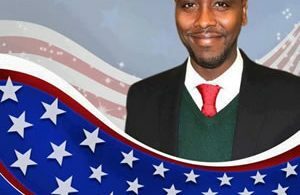 Any attempt to impose a widely unpopular proposal on the Oromo guarantees the return of yet another protest by Oromo students—even before the hundreds and thousands of young students rounded up during the 2014 protests were released from incarceration. But if history is any guide, the threat of arrest, beating, torture and exile alone will not quell the protests. Ethiopia has recently been named to the top ten leading jailers of journalists in the world. While the media blackout has aided the regime to keep the lid on the plight of Oromo prisoners, in 2015, amid growing social media use inside the country, it would be impossible to suppress another anti-government protest. Even by the government’s own admission, tensions are expected to run high in Ethiopia ahead of the 2015 elections. The ruling party’s standoff with the urban opposition is at its peak. Rural support has all but evaporated. Ethiopia’s stability could be put to a severe test should the various grievance-fueled protests link up across ethnic, political and religious cleavages that have emasculated the potency of challenges to the ruling party. Buoyed by past success at suppression, the authorities have every reason to underestimate the power of the Oromo Student Protester. 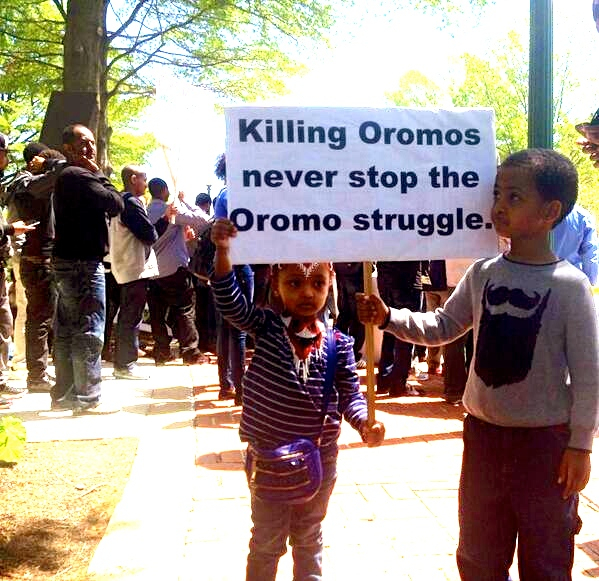 With a radical shift in strategic thinking on the part of protest organizers, a new round of protests would not stop at simply re-energizing and unifying the Oromo public. It can become a catalyst for a countrywide pro-democracy movement. The selfless sacrifices of the Oromo Protester cannot forever remain fruitless. It has already drawn international media attention to the plight of Oromo people. The Oromo Student Protester, OPride’s Person of the Year, through sheer determination in the face of mortal and physical danger, through its capacity to rebound, and its irrepressible yearning for freedom is destined to write and right not only Oromia’s but also Ethiopia’s history.